Often it's virtually impossible for foods alone to provide the concentrated levels of nutrients necessary to maintain healthy levels of magnesium, Vitamin B2 and CoQ10. Dolovent™ provides the clinical levels necessary to support proper brain energy levels. Only Dolovent™ provides a potent blend of micronutrients all targeted specifically at supporting brain energy levels. Complete: Packed with clinical strength riboflavin, magnesium oxide and CoQ10 plus key vitamins, minerals, trace elements and bioflavonoids targeted at supporting brain energy metabolism. 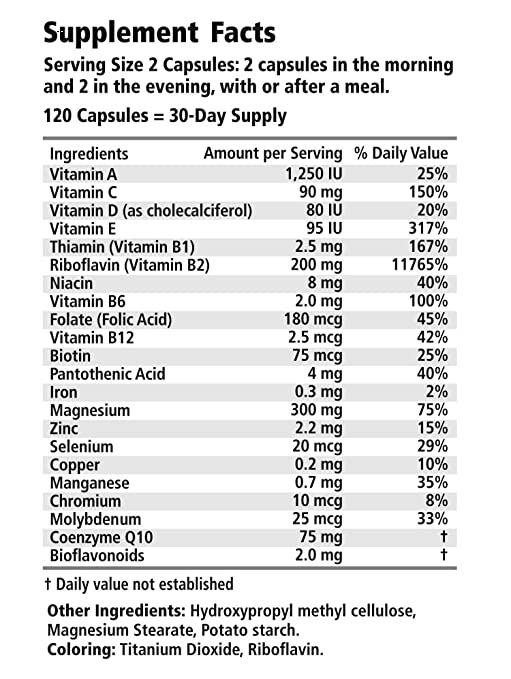 Effective: Medical studies show that raising levels of magnesium, B2 and CoQ10 help normalize brain energy metabolism. Easy: Capsules are convenient and generally well-tolerated. Affordable: No doctor visit or prescription needed, and the cost-per-day is very economical. Dolovent is a nutrionally incomplete food for special medical purposes. The product must be used under medical supervision. Use this product daily for several months according to the recommendation for use . If you take Dolovent do not use other magnesium or riboflavincontaining products. Pregnant womenand childrenshould use the product under medical supervision. riboflavinmay cause a vloated feeling and mushy stools ar possible. As for all magnesium-containing products Dolovent should not be used in case of renal dysfunction. Becasue of possible disturbance of resportion Dolovent should be used with a distance of 1-2 hours if you take drugs following active ingredeints: Tetracyclines, ferrous-containing substances, Sodium fluoride, Isoniazud, Chlorpromazine and Digoxin.